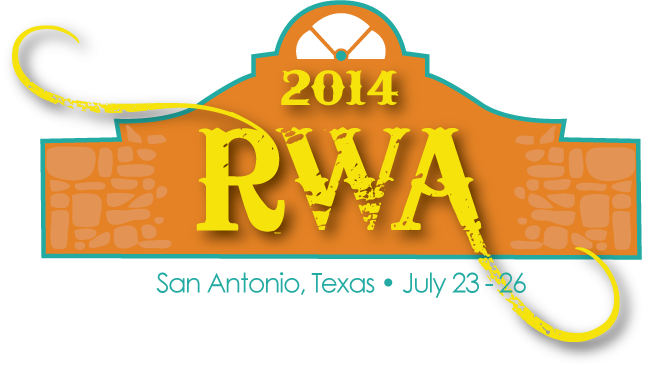 Saturday: the final day of the 2014 Romance Writers of America National Conference. What were my thoughts upon awakening this morning? Did they center on my sore feet or my swollen knee? Or, perhaps, the fact that I hadn't had more than 5-1/2 hours sleep per night since Tuesday? No. When the alarm sounded at 6:00 am, I immediately thought that it couldn't possibly be the last day of conference. I still had more to learn in the outstanding workshops. I needed more time to visit with friends I only see once a year or, in some cases, every three or four years. There were people I hadn't yet met. I needed more time! But, alas, conference time was nearing it's end so I would just have to make the most of this last day in beautiful San Antonio, Texas and hope it was enough to carry me through to RWA 2015 in New York City. I kicked the day off at breakfast with some of my favorite people: Romance Bandits Joan Kayse, Suz Ferrell and Susan Sey. These ladies will always start your day with a smile...and they write some great books too. Check them out! The breakfast speaker on Saturday was New York Times Bestselling mystery-suspense author Karen Rose. Her speech was inspiring and set the tone for the last day of one of the best RWA conferences I've attended. Molly O'Keefe: 2014 RITA award winner of Best Contemporary Romance for Crazy Thing Called Love. (Read Janga's review here.) We love Molly and her books! Historical author Monica McCarty. I adore her books! She's been on my auto-buy list since her debut and further cements her position with every book she writes. The Arrow, the ninth book in her New York Times bestselling Highland Guard series, will be released on August 26th. Emily March, another New York Times Bestselling author I've been following for many years. Her Eternity Springs series is a cross between contemporary romance and women's fiction and never fails to satisfy. With each of her books I know I'm going to be treated to a beautifully written, complex, deeply emotional story filled with love and hope. Can't ask for much more than that. I hadn't seen Connie Brockway for many years and had been missing her all week. I'd reconciled myself to the fact that I probably wouldn't see her this time around when I walked into the Montlake publisher signing just as she was getting ready to leave. Squealing and hugs ensued, then we pulled Julia London into the circle for a group hug and photo op. If you follow Connie online, what you see there is exactly what you get in person. She can take you from "hello" to full out laughter in mere seconds and when she gets together with Julia London, all bets are off! Connie's next book, The Songbird's Seduction will be out in September. Julia's current book, Return to Homecoming Ranch was released in July. With the day winding down it was time to get ready for the big night, the 2014 RITA and Golden Heart ceremony. In rooms throughout the hotel, people were dressing in their finest as they prepared for the announcement of the "best of the best" of books and manuscripts for the year. If you've read my previous conference posts, you'll know that I love photographing the gorgeous shoes you see throughout the conference and tonight is the time for those shoes to take center stage. So, without further ado, I present the Shoes of RWA! Just because you're in a cast doesn't mean you can't be stylish. Right, Kristan Higgins? Red and silver seemed to be popular colors this year and, of course, you can never go wrong with classic black. Theresa Romain's 1920's inspired shoes. So cute! The RITA/GH ceremony was fun, exciting and inspirational with plenty of laughs courtesy of this year's host, Simone Elkeles (she gets my vote to host every year), a sometimes poignant, sometimes hilarious video of several authors talking about the books that introduced them to romance and a heart-felt tribute to Bertrice Small by Eloisa James. Here are some random photos from RITA/GH night. Golden Heart Finalist Marnee Bailey and her husband. Tawny Weber (who received her 25 Books award from Harlequin) and RITA finalist Beth Andrews. RITA Finalist Tessa Dare with Zoë Archer. Julie Anne Long, RITA winner Sarah MacLean and RITA Finalist Toni Blake. RITA Finalist Tessa Dare, Golden Heart Winner Lenora Bell and RITA Finalist Courtney Milan. Caroline Linden wore earrings that were a replica of the coveted RITA statuette. And here's the lady herself: Rita Clay Estrada, the co-founder of Romance Writers of America and the woman for whom the RITA award is named. With her is Mary Tate Engels, a charter member of RWA. Both ladies were warm, welcoming and an absolute delight to visit with. I was honored to meet them. Katharine Ashe and Rita Clay Estrada. Do you wonder if published authors ever have 'fangirl' moments? Take my word for it. They do! Thank you for tagging along with me on this year's RWA journey. I hope you had as much fun reading about it as I had experiencing it! What's been your favorite part(s) of this year's RWA blogs? Have you read any of the 2014 RITA winners (listed below)? Which ones? Are you a dress-up or dress-down kind of person? Any questions about the conference or my conference blogs? Ask away! We have three prizes up for grabs today. Winners will be randomly chosen from comments posted by 11:59 pm EST Sunday, August 3, 2014. I really enjoy all the pics of my favorite authors and being jealous that I wasn`t there! And *crying* to see all the free books for the book signings that I can`t get. I know if I ever go to one of these, I will need to bring an extra empty suitcase just for books! I've only read Crazy Thing Called Love by Molly O'Keefe but I have Sarah MacLean`s book on my TBR. I`m definitely a casual kind of gal, jeans and a t-shirt is my go-to outfits. I have so enjoyed these RWA blogs. I love seeing the pictures and hearing the stories about my favorite authors. I especially like the dress-up pictures. ( I like to dress up, but I rarely get the chance.) Seeing the friendships of these women in the romance field brings a smile to my face. Canada/yes to Book Depository too. Have enjoyed the abundance of happiness evident in blog pictures and words. You can never have too much joy in your life. Definitely a dress-down kind of person. When we celebrated big birthdays years ago (when I turned 40 and my husband turned 50), we hired a DJ and rented a hall, telling people to dress super casually/comfortably, and I wore jeans and slippers, while most wore shorts or jeans. You can never have too much joy in your life. You are so right, Laney. This has been a very sad month for my family and the joy of the past week was much needed and appreciated. I’ve read only three—The Sweet Spot, Crazy Thing Called Love, and No Good Duke Goes Unpunished. I'm definitely dress-down, although it is fun to dress up occasionally. And everyone in your photos looks gorgeous in their finery. RITA night really is like a red-carpet event. Everyone looks so beautiful in their finery. Lots of great books on the list for you to try! I enjoyed all the photos, outfits, shoes, books and beautiful posts. I love dressing up since it is rare. I will read these in the fall. Best wishes. US. Hope you enjoy them and so glad you've enjoyed the posts! I read The Firebird. Wonderful. Your enjoyment is contagious. The photos and smiles, love and dresses a delight. I dress down to often nowadays and if the occasion calls for it I love dressing up for a change. US. Kearney's RITA for The Firebird was a very popular win. A lot of people loved that book! I have read both Laura Drake and Molly O'Keefe.... Reading your RWA recap has been like really being there.. I especially love that you all get dressed up for the gala and the shoes just rock.. I reside in Canada and bookdepository ships to my neck of the woods... Thanks for all the run you have shared with us.. I loved Sarah MacLean's No Good Duke Goes Unpunished. I am a dress-down person--jeans, t-shirts, and Nikes! I've really enjoyed these blogs. For those of us who can't attend the conference, you give us a great view of all the highlights. Thanks, PJ. It was one of my favorite books of the year. So many of my friends and favorite books were RITA Finalists that I would have been happy to see any of them win. I love seeing all the pictures. And poor Kristan Higgins but at least she got to save room in her suitcase with having to pack only one shoe! I've read many of these authors and have some of the books in my tbr pile but haven't read any of them as yet. I like to dress up every once in a while but it's been a while. Mostly for weddings now lol. Where is it going to be next year? And thanks for all the wonderful details, stories, and pictures! It's the next best thing to being there :) U.S. I felt so bad for Kristan but she handled her injury with her typical grace and good humor...and met some good looking - and gallant - cowboys because of it! I am so jealous you got to see Monica McCarty!! I'm gobsmacked by all the people I didn't meet at the conference! Holy crap!! LOL! That's exactly how I felt after my first conference. You'll get a bit more organized with each one you attend. Monica wasn't going to come but changed her mind at the last minute. She was too late to sign Wednesday night but she did sign at the Ballantine publisher signing. dress down. looking at all the fun pic. every one was posting. 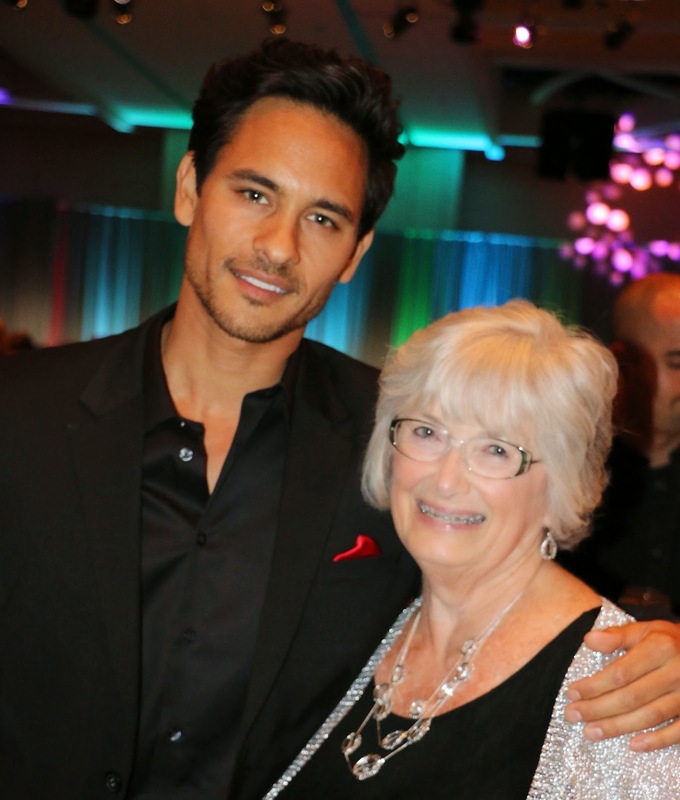 My favorite parts of this year's RWA blogs are the pictures. I love to see how much fun everyone is having. I haven't read any of the RITA winners yet, but there are quite a few I want to read. I'm a dress-down kind of person, but once in a while it's fun to get dressed up for a special occasion. Who votes for the winning books? I have enjoyed the pictures, seeing the authors I enjoy reading. I read Susanna Kearsley's story. All her stories are so good. I loved seeing the pictures of all of the authors in person. Sometimes you can't tell what they really look like from FB or publicity photos. Everyone looks great! I have Not read any of the RITA winner books! I have a printed list now, though! I am a dress down person, all the way. Thanks for sharing your experiences at the conference! Great job on the conference coverage! I love seeing all the pictures you posted…makes it feel like I'm right there with you. I have read all of Sarah MacLean's books and I cannot wait for Chase's book in November. Congrats to her on winning for No Good Duke Goes Unpunished. As for dressing up or dressing down, I can go either way. Love my yoga pants but I can get glitzy too! I love all the stories and pics. I haven't read any of them yet, but plan to. Daily Im much more of a dress down person, but I love to dress up on occasion. Since I can't go to the conference, it has been enjoyable hearing all about it from you. There is so much that goes on, focusing on one thing would leave out too much. It is always nice hearing about the authors and events. I enjoy dressing up, but don't have many occasions to do so. Being in Earth Mother mode or grubbing out to work in the yard or house tend to be the normal routine. I will admit I always look forward to your shoe post at the end of the conference. Some very different ones this year. I haven't read any of the winners yet. I am still trying to catch up on the stash (library) I have. I do hope you are going to be in NYC next year. I'd love to go, but will most likely have to rely on your posts as a substitute. Thanks for the great "reporting." Loved seeing all the authors in one place having a great time. Everyone looks gorgeous in their finery, totally reminds me of the Red Carpet shows for the award shows like the Oscars! Especially love all the shoes you featured today, although I was hoping for a few more cowboys showing up in your pics!!! ;-) While I haven't read any of the winning books, I do have Sarah MacLean's No Good Duke Goes Unpunished on my wish list. I'm mostly dressed down for everyday life but it's nice to get dressed up once in a while to celebrate. Thanks for letting us live out all the fun through your posts. I think I would have been such a fan-girl at the conference! Great job on the recaps PJ, and enjoyed all the pics. I usually dressed down, but dress it up every now and then when the mood strikes or occasion calls for it. I have read Sarah MacLean's, this particular Kearsley in the TBR now, and also very much enjoyed the other historical finalists' books too. I Haven't read any of those award winning authors yet, but I've added them to my ever growing list! On top of the authors you came across that I haven't read either! Thank you for all the fabulous posts & pictures. I've loved it all. I haven't caught up with any of the books listed, but they are firmly on my wish list. I am most certainly a dress down kind of person. I cannot believe that I have not read any of these winning books as yet. *hanging head in shame* BUT! I'm working to get to them! I'm a dress down type of person. When I retired, I weeded out my closet and gave my work clothes away to others that needed them. The only question I have is how limited are just visitors like myself from attending author discussions? Thanks again for sharing the pictures. I have, in turn, shared them with other friends of mine. pretty shoes & dresses. congrats winners. like to dress up on occasion. mostly like dress down. read no winners. Congrats authors. I like to dress down mostly. I follow Molly on Facebook, but just picked up my first book of hers. I'm a dress down kind of person. I loved all the pictures--and the shoes! I haven't read any of the winners yet. I love seeing all the pictures of you PJ with the authors! Thank you for answering all my questions the other day. Thanks too for sharing your wonderful experience! Have read non yet. Contrats ladies. Dress down and thanks for fashion pictures. Casual. Pretty dresses and shoes. NO GOOD DUKE GOES UNPUNISHED by Sarah Maclean (Loved it!). TAKE ME, COWBOY by Jane Porter (So cute!). I know who wore both sets of boots! Great picture of Cathy Maxwell at the RITA ceremony!